FRANKFURT -- Volkswagen Group said its global vehicle sales rose 11.7 percent to 794,500 in November as strong demand in the United States and China helped offset a weak European market. VW said group sales for the first 11 months rose 10.4 percent to 8.29 million, passing the company's 2011 total for deliveries. "Despite this year's new delivery record we are already preparing for a very challenging year in 2013," VW sales chief Christian Klingler said in a statement today. The company said 11-month sales in China, the group's largest single market, rose 20.2 percent to 2.53 million, while volume in the United States was up 33.9 percent to 534,000. In western Europe, excluding Germany, deliveries fell 6 percent to 1.71 million. In Germany, deliveries increased 3.4 percent to 1.1 million. VW is enjoying growth in Brazil, where 11-month sales increased 9.8 percent to 709,000. Sales in Russia rose 42.9 percent to 290,100. All VW Group brands increased sales in the first eleven months except Seat, the carmaker's Spanish unit. Seat's sales fell 8.2 percent to 293,800 as the brand continued to be hit by poor economic conditions in its key southern European markets. Audi sales were up 12.7 percent to 1.34 million through November. 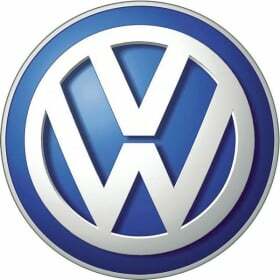 Volume at the core VW brand increased by 11.2 percent to 5.22 million. Deliveries at Czech unit Skoda rose 6.9 percent to 873,000. Porsche, which Volkswagen added to its brand portfolio in August, sold 47,400 units in its first four months as a group brand, VW said. Wolfsburg, 14 December 2012 -- The Volkswagen Group recorded a further increase in worldwide vehicle deliveries from January to November, topping the eight million mark for the first time in this period. In total, 8.29 (January – November 2011: 7.51; +10.4 percent)* million vehicles were handed over to customers in eleven months. The Group also performed well in the month of November, delivering 794,500 (November 2011: 711,500; +11.7 percent)* units. "We have already delivered more vehicles after eleven months than during the whole of last year. That is an outstanding achievement, particularly in view of the continuing difficult situation on some European markets", Group Board Member for Sales Christian Klingler said in Wolfsburg on Friday, and added: "Despite this year's new delivery record we are already preparing for a very challenging year in 2013." Group brands delivered a total of 3.40 (3.38; +0.7 percent) million vehicles on the overall European market from January to November. In Western Europe (excluding Germany), 1.71 (1.82; -6.0 percent) million customers took delivery of a new vehicle. In its home market of Germany, the Volkswagen Group grew deliveries by 3.4 percent to 1.10 (1.06) million units. Group brands recorded growth in Central and Eastern Europe, where 590,800 (494,900; +19.4 percent) vehicles were handed over to customers, of which 290,100 (203,100; +42.9 percent) were delivered in Russia, the region's largest single market. Deliveries on the American continent also developed well with the number of vehicles handed over in the North America region in the period to November growing 26.1 percent to 757,300 (600,700) units, of which 534,000 (398,700; +33.9 percent) were delivered in the United States. The Volkswagen Group handed over 923,800 (855,600; +8.0 percent) vehicles to customers in South America during the same period, of which 709,000 (645,500; +9.8 percent) were delivered in Brazil, the region's largest single market. The Group also recorded very satisfactory figures in the Asia-Pacific region, where 2.86 (2.39; +19.5 percent) million vehicles were handed over to customers in eleven months, of which 2.53 (2.11; +20.2 percent) million units were delivered in China, the region's largest single market. In India, 104,000 (100,700; +3.3 percent) customers took possession of a new vehicle. The Volkswagen Passenger Cars brand delivered 5.22 (4.69; +11.2 percent) million vehicles to customers worldwide in the period to November. The brand developed particularly well in the United States, where 394,100 (291,900; +35.0 percent) units were delivered. Volkswagen Passenger Cars handed over 246,500 (195,900; +25.9 percent) vehicles in the Central and Eastern Europe region during the same period. Audi delivered 1.34 (1.19) million vehicles worldwide in the period to November, an increase of 12.7 percent. The premium brand from Ingolstadt benefited among other things from substantial growth in China, where customers took possession of 370,600 (283,600; +30.7 percent) vehicles. In the United States the brand grew deliveries 18.6 percent compared with the prior-year period to 124,500 (104,900) models. The sports car manufacturer Porsche, which became a Volkswagen Group brand on August 1, 2012, delivered a total of 47,400 vehicles from August to November. Demand for models built by the Stuttgart-based carmaker was particularly strong in the Asia-Pacific region, where 14,900 vehicles were handed over, and in the Central and Eastern Europe region, where deliveries ran at 2,300. The ŠKODA brand delivered a total of 873,000 (816,800; +6.9 percent) vehicles worldwide from January to November. The company performed particularly well in the Central and Eastern Europe region, where customers took possession of 237,500 (210,000; +13.1 percent) new vehicles. ŠKODA deliveries in the Asia-Pacific region increased to 264,500 (242,100; +9.3 percent) units. SEAT delivered 293,800 (320,000; -8.2 percent) vehicles worldwide in the period to November. Markets in the Europe region remained difficult with the company handing over 242,400 (285,300; -15.0 percent) vehicles to customers. Deliveries developed well in Germany, where 57,900 (48,500; +19.3 percent) units were handed over, and the UK, where 36,300 (33,600; +8.0 percent) customers chose a SEAT model, as well as Mexico, where 18,900 (15,800; +19.5 percent) vehicles were delivered. Volkswagen Commercial Vehicles grew deliveries 4.6 percent to 501,000 (479,000) units in the period to November. 113,200 (112,300; +0.8 percent) models were handed over to customers in the home market of Germany. Deliveries also developed very well in Central and Eastern Europe, where customers took possession of 37,700 (32,300; +16.7 percent) units.